Lesedi-Lechabile Primary Care Programme is based in Welkom and serves the mining towns of the Northern Free State. “Lesedi Project” began in September 1996 as collaboration between Harmony Mine Hospital and Family Health International’s AIDS Control and Prevention (AIDSCAP) Project funded by USAID as a desperate measure to curb STI/HIV/AIDS among vulnerable mining communities. Factors around mining communities including social and economic conditions that separate families and create demand for high-risk sexual behaviours, have contributed to the rapid development of South Africa’s AIDS epidemic. Sexually transmitted infections (STI’s) also thrive under such conditions and it is such co-factors, which greatly facilitate the transmission of HIV. The project started as a nine-month pilot study to reduce sexually transmitted infections (STI’s) and by inference HIV, almost eleven years ago (September 1996). Formative research conducted in 1996/97 showed that this community intervention was successful in the prevention of curable STI’s among women and their partners around the mining area. The incidence of curable STI’s was decreased by up to 85% in the study group (women) and condom use increased from a baseline of 12% to 70% – the rationale for this project being that the spread of HIV can be decreased by significantly among vulnerable communities just by targeting sexually transmitted infections (De Coito et al, 2000). 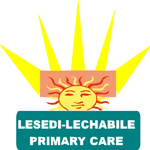 The Lesedi Project, as it was known in 1996/7, was registered as a Section 21 Company on 31 July 2002, and its name changed to “Lesedi-Lechabile Primary Care“. The programme has evolved over the years to include the Youth Programme which was established in 2007 and the Men Engage programmes whuch was established in 2008. This program seeks to reduce the prevalence and incidence of HIV, AIDS, STI and TB (HAST) among targeted populations within the District and to empower individuals and groups with factually correct information that will enable them to take safer sexual decisions.